Anything Heavy Movers, LLC. has been offering our services to the Chicago, Chicagoland, Illinois, Wisconsin. We specializing in moving safes and safe installation services. Our owner operated team takes great pride in our prompt, courteous and professional service. Whether we're moving a residential gun safe or jewelry safe a commercial depository safe, or security safe or heavy cabinet we approach every project with a "white glove" approach, ensuring a positive experience for you at your business or in your home. Let's take a listen and here what customers are saying about Anything Heavy Movers, LLC. If you need a safe moved, these are the ONLY guys to call. I bought mine from a chain store that offered delivery from a nationwide mover. I went with Paul and Tim based on the testimonials I read. They picked it up at the store, brought it to the house, and had in the basement faster than I would have expected. They also took the time to show me the features of my safe and showed me how to open it and a couple of facts to know about to watch out for. Awesome great job guys!!! Thanks so much for the great safe moving job - Upstairs - UNBELIEVABLE. Thanks again, You sure make it look easy - Easy it is not! Leveling the safe was done with terrific expertise, wow. Open the safe door in any position - The door remains in the position you opened the door - Does not swing either open or close unless one moves the door. WOW, Are these guys good or what? They put a 925 lbs safe in my basement that was almost impossible. Anything Heavy Movers is the best in the business. They went up stairs, over hardwood floors, down hardwood steps, down carpeted steps, through a small door and put this safe on an elevated platform within 2" of a drop ceiling. I have to say that this safe move was the best money I ever spent... House is OK, my back is OK and my wife is happy. Thank you for a job well done. You have my highest level of recommendation. 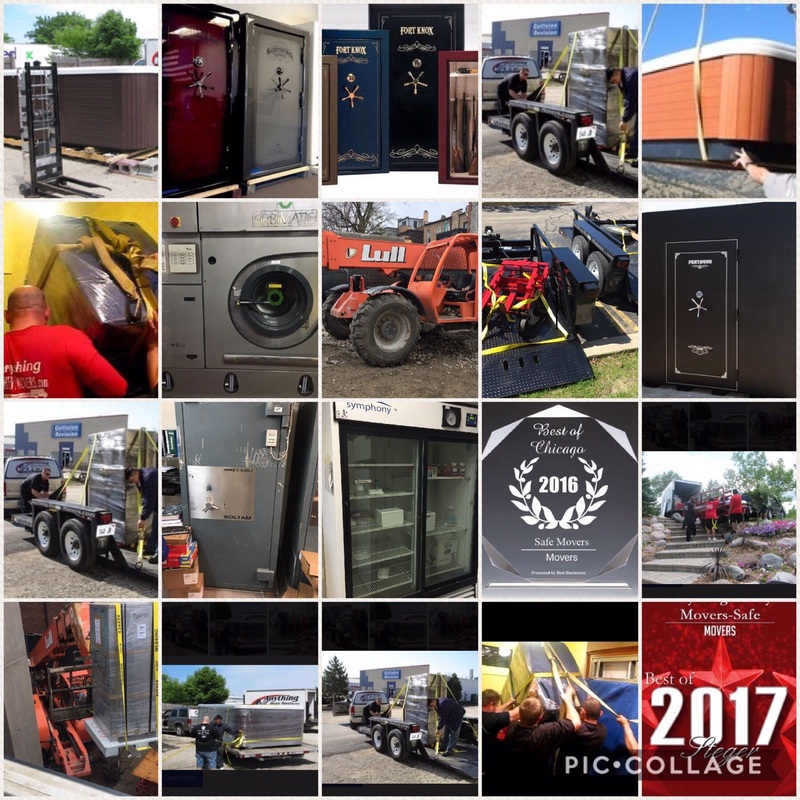 In closing - This is the owner of Anything Heavy Movers, LLC Our impeccable reputation has resulted in many repeat customers and as attested to on our testimonials page, word of mouth has become one of our primary tools for new business.